Transform your master bath into a retreat for you and your partner with the 60 x 48 WM whirlpool tub. Enjoy the good life as you both are enveloped by the warmth of the water. Indulge yourselves in the restorative benefits of hydrotherapy as targeted jets work out the kinks in your muscles. The tub has 12 jets—three each for your backs and two each for your hips, legs, and feet—the maximum number of jets in any of our 60-inch tubs. Gallon per gallon, this is the most jets of any of our tubs, making the 60 x 48 WM a smart investment. 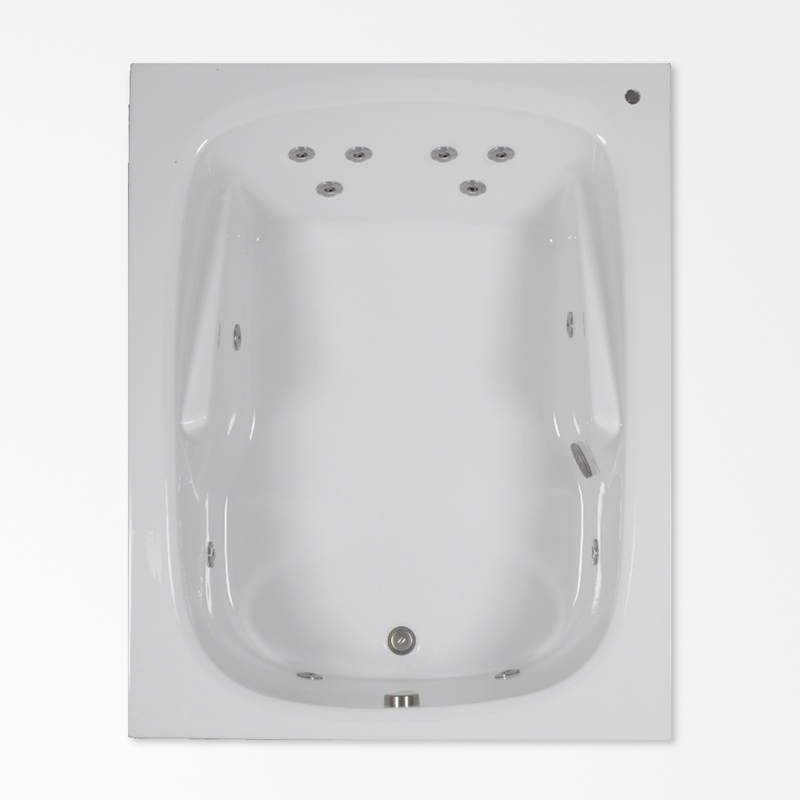 With all its features, the 60 x 48 WM whirlpool bath is the best combination of quality, value, and luxury. This whirlpool/tub was the best decision we ever made! Perfect fit, perfect finish, a fantastic price, great customer service AND a whirlpool experience that makes it almost impossible to turn off! The quality of build exceeded my expectations.